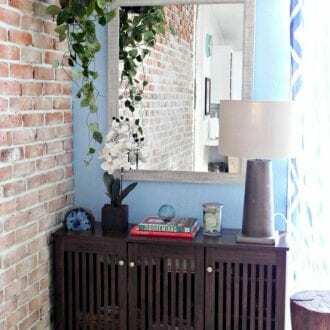 Decorating a small room or space can come along with a variety of constraints. Many times you’ll find it difficult to cram all of your style into such a limiting square footage, but this can be mitigated by making a few sound design choices. While there are endless elements to consider, it’s best to start with the basics. Opting for neutrals with pops of color. This set-up is a great example of small space design done right. Even if you don’t have a lot of windows (which in a small room is quite common), mirrors are an incredible way to capture light. 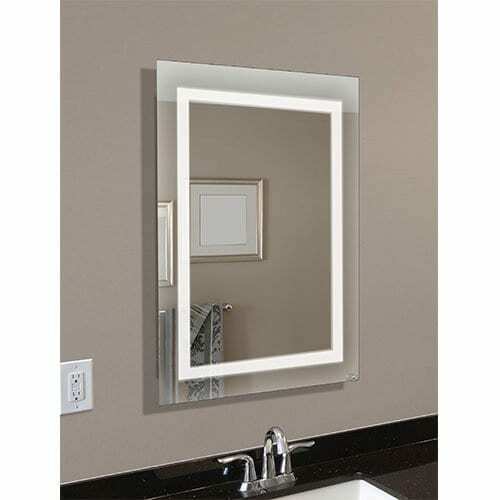 While one might first think of mirrors for wall decor, this is far too limiting. Whether it’s a mirrored coffee table in your living room or a dresser in your bedroom, this little addition will bring light and reflection into your space. By going with a neutral couch and pops of color in the pillows, this living room will have just enough personality without becoming overwhelming. 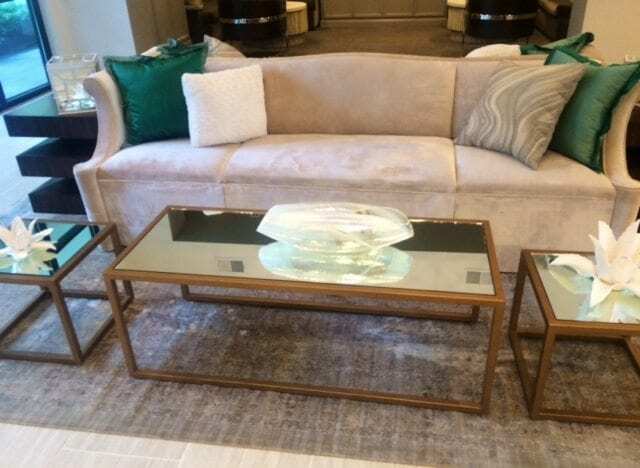 By adding a few special touches to the coffee table, shells in this case, your eye is able to focus on something decorative rather than the small space at hand. 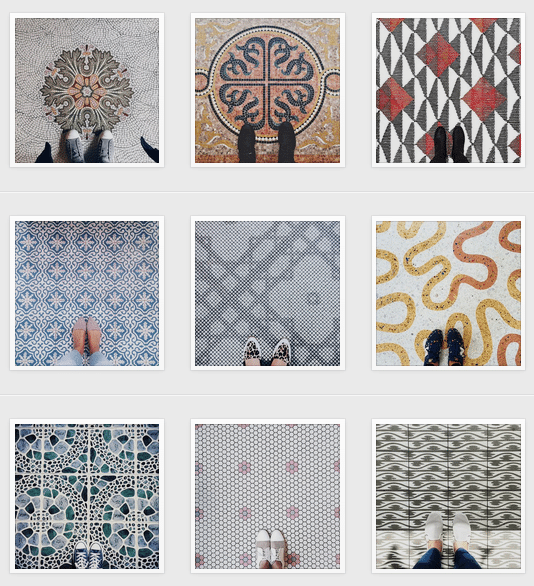 We are inspired by the Instagram account @ihavethisthingwithfloors, which features floors and the shoes that are standing on them. From words and phrases to subway tiles to immaculately painted designs, these floors are pretty amazing. Once you start looking, you can’t stop! 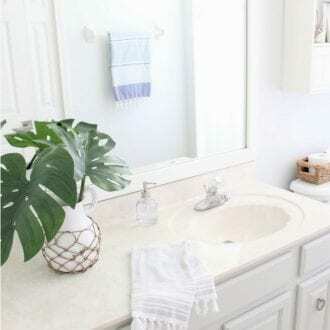 For so long, floors in homes and bathrooms have been mostly neutral woods or tiles, but now it’s time to add a little interest under your feet. Go for a bold black and white stripe in the kitchen or a fun and playful pattern for the playroom. It’s a conversation starter, and maybe your floor will end up featured on @ihavethisthingwithfloors! Be sure to check out our Pinterest Board for some design ideas of your own. About the Author: Annie is a life & style blogger living in Charleston, South Carolina. Read more from Annie here. Who says you need a mirror to make the most out of a frame. Granted, nine times out of ten your frame will be, well, framing something. But that one out of ten times it isn’t can make for a really intriguing design element. On a recent shopping trip I found myself wandering into one of the many antique shops in the area. Like most of these shops, items were stacked tall like pancakes and ran along all available wall space. Despite the sensory overload my eye was immediately drawn to an item in their courtyard. A frame on an easel. Simple but undeniably elegant. So I got to thinking, do you really need to frame something or can the frame itself be the art? 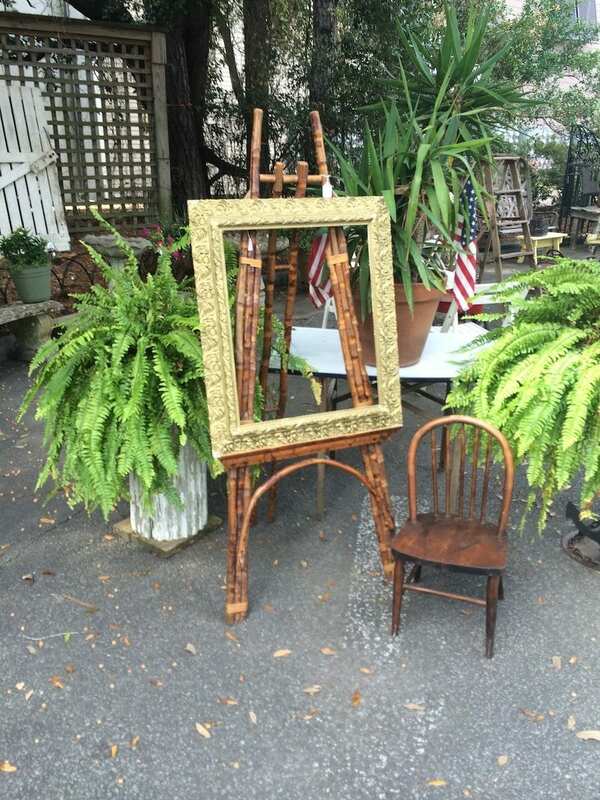 If this setup here is any indicator, an ornate frame can most certainly be an eye-catching standalone piece. 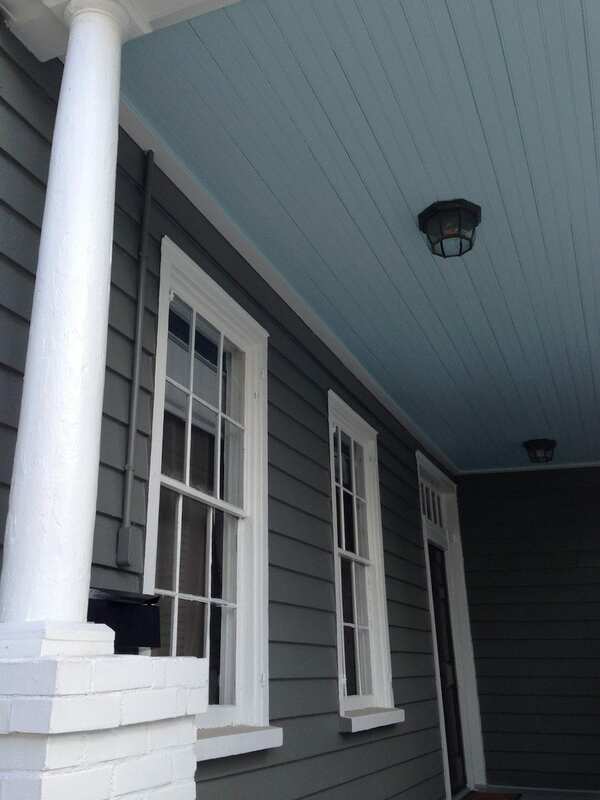 A trend I noticed on a recent trip to Charleston, SC, is the painting of porch ceilings. At first, I thought that it was just a trendy movement in the south, but I’ve come to discover that the residents painted it blue to deter bugs (a worthy cause in mosquito country). 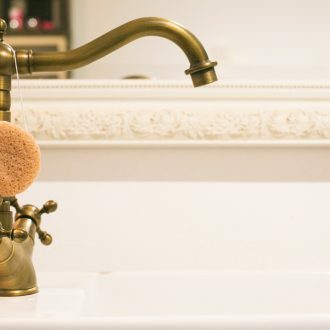 This bug repellent technique is a pretty one and can easily be implemented in your home. Painting the ceiling of a neutral bathroom, hallway, or even bedroom can add character and unique flare that was missing before.